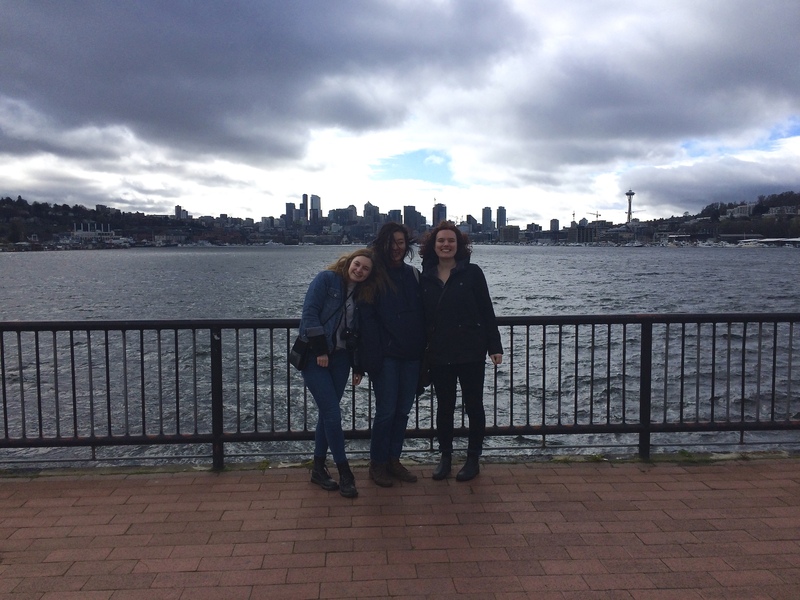 For spring break I brought two of my friends from college to the wild wild west known as Coupeville, WA. They’d never been to the PNW before and so got to experience some special Washington things, such as rain. Could be in Grey’s Anatomy. 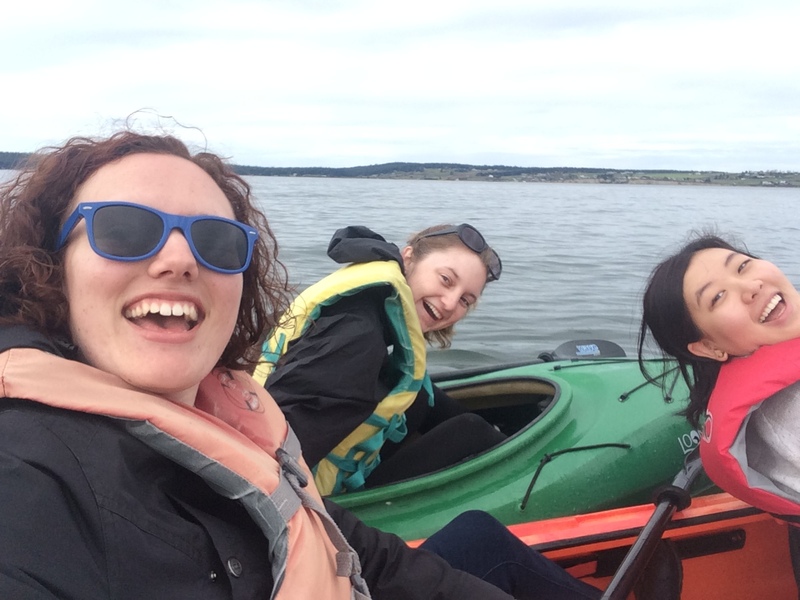 Silly kayakers being chased by harbor seals. 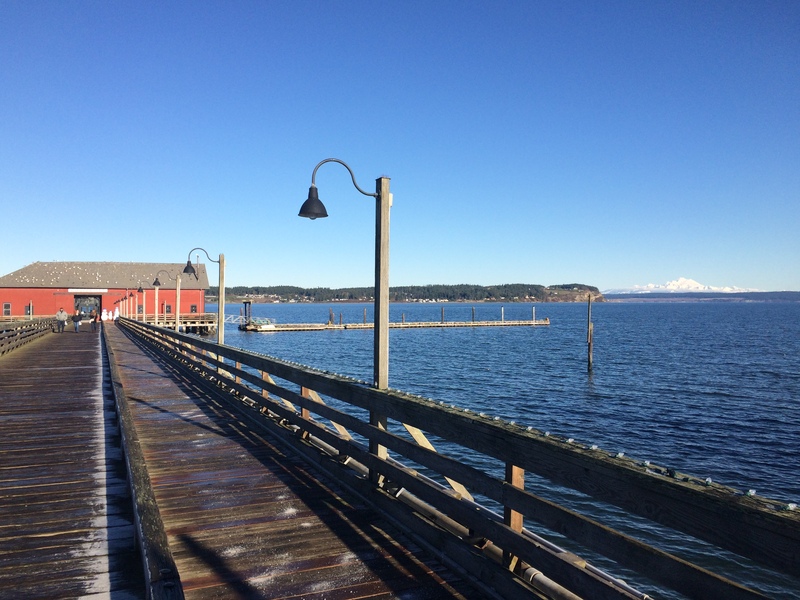 If you’ve never been to Coupeville before and want to know what it’s like you’re in luck because I’m working on a short story about it. 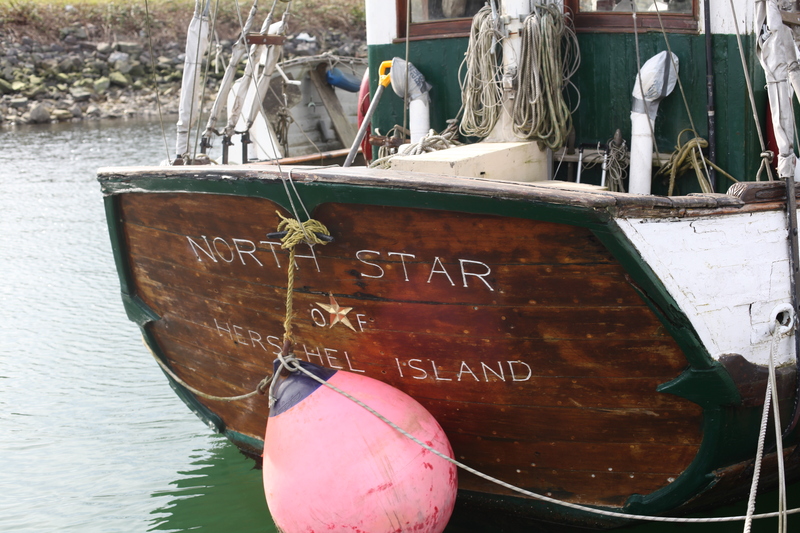 William, owner of the famous Local Grown Cafe on the Coupeville wharf, retired and sold Local Grown to Un-William. I think Un-William’s name is Dave. Ever since William’s departure Local Grown has lost some of its flavor. I don’t mean literal flavor, because you can still get a lavender latte and purchase fresh mussels on Friday’s. I mean its local flavor. First of all, Un-William is friendlier than William and that turns people off. He is faster at making drinks than William, which is confusing for people. He doesn’t have a dog lying in the middle of the cafe, so people no longer have to watch where they walk and now they don’t really know what to do with their feet. He also doesn’t have the limp that William had, which means he has less mystère, which makes the whole experience a bit too average. 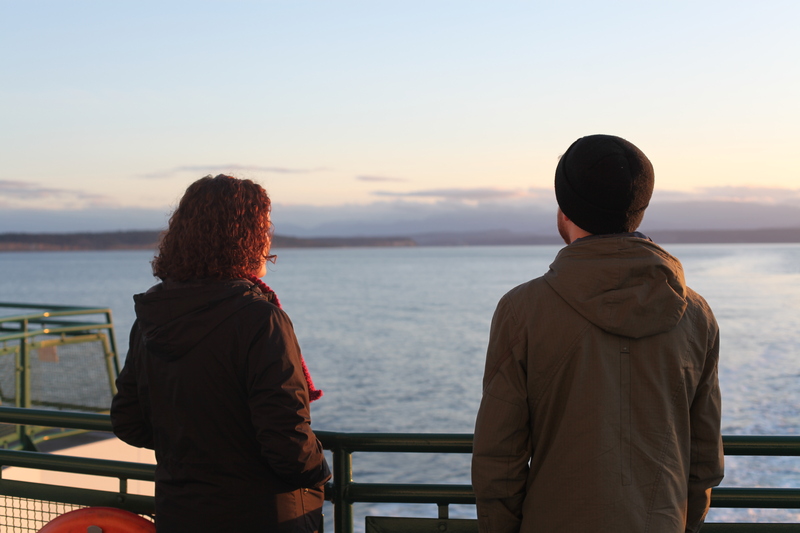 The people of Coupeville aren’t that accustomed to change. There’s also the flies. William must not have shared his pest killing secrets with Un-William, because the flies circling the dessert case and sucking up the leftover drops of syrup are a major issue. The writing group still meets there on Thursdays. Tourists still wander in, mostly because there’s not really anything else to do–why do they come here anyway? This town is not interesting, touristically speaking. But there’s something off about it, some sort of bad juju to the place now that Un-William is the owner. Like when a hermit crab wears the discarded shell of an older hermit crab friend. Or like when you walk around your quiet home, wrapped up in your dead father’s sweater. Cozy, but also a bit creepy. Coupeville isn’t really a magical place, although it was the set for the movie “Practical Magic” with Sandra Bullock and Nicole Kidman. But it is a place where nature still has the upper hand, and there’s something cruel about it. Beautiful and merciless, like the cold sea… or a forest full of stinging nettles. Un-William–Dave–knows what he has to do to get the good juju back to the cafe on the wharf. Everyone agrees that Local Grown is a dumb name. Maybe a good name for a food co-op or a farm store, but not a coffee shop. Even a coffee shop that also sells mussels and local wines. Dave decides on “The Salty Mug.” It’s cute and likeable. Tourists will now know that it is a coffee shop and not a random fishing store for boaters who dock nearby. Everyone also agrees that the cafe is not a boat. However, it is kind of like a boat because it’s on the very edge of the wharf, sticking way out into the water like a giant red barn on stilts. When the tide’s in and the wind is blowing it moves side to side with the waves, causing customers that are light of heart to get a bit worried and take their coffee to go. It’s not a boat, but it still should follow the rules of the water, and Dave was a sailor for years before he retired and bought this coffee shop. So he confers with the harbormaster and they decide that it would be best for the good of the cafe and the good of the wharf if they do a renaming ceremony. Dave has never renamed a boat before because he always loved the name that his sweet sailboat came with: Orcinus, named after the killer whale. So he had to do a bit of research at the local library in order to get down the details of renaming. Especially since this was a delicate situation, given that it was the renaming of a coffee shop, not a boat. Luckily the library had a whole section on it. Actually luck has nothing to do with it. Because having an unlucky vessel is not about luck at all; it’s about the wrath of the Gods of the Deep. Poseidon, for example, records the name of every vessel into the Ledger of the Deep and knows them personally. To change the name of a vessel unceremoniously brings about his wrath, therefore the resulting storms that trash the unnamed vessel are not due to bad luck at all, but the results of the laziness and ignorance of the Gods of the Deep. Poseidon is a control freak. Dave is not lazy nor is he ignorant of the Gods of the Deep, and so he photocopied the three-step renaming process out of an old book and began his preparations. No, it is actually very complicated. And missing a step could be disastrous. Dave held the ceremony on a rainy Saturday morning. 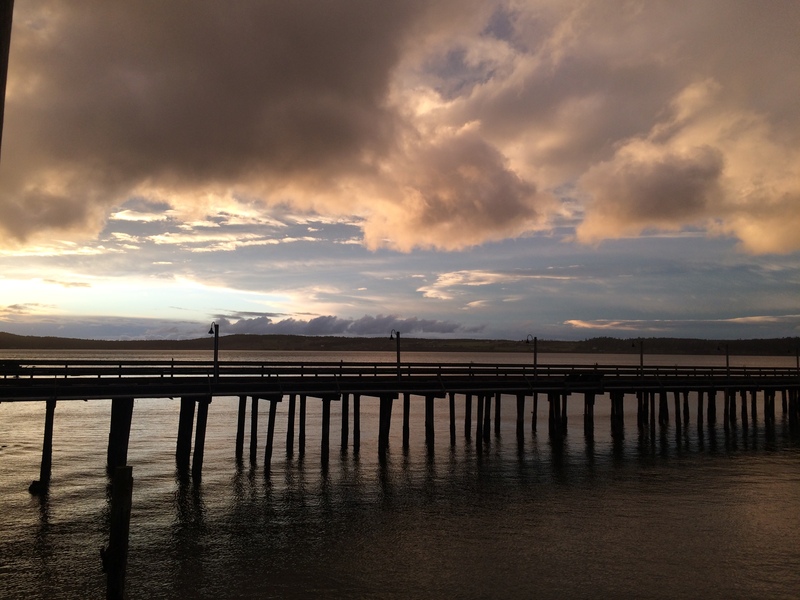 The people of Coupeville are early risers and prefer when there’s a bit of a drizzle. First he purged the previous identity. This was easy and just included taking all the signs down from inside and outside that said “Local Grown.” It was imperative that the new name not enter the premises until after the ceremony, so Dave had yet to even speak it. He dropped the driftwood off the wharf and into the sea. He opened the bottle of champagne with a pop and poured it all into the ocean. The Coupevillians clapped politely as Dave went to get another bottle of champagne. He flipped over the crinkly page of his photocopy. “Oh mighty and great ruler of the seas and oceans,” he called out, the wind whistling slightly. “To whom all ships and we who venture upon your vast domain are required to pay homage, implore you in your graciousness to take unto your records and recollection this worthy vessel–in the form of a coffee shop–hereafter and for all time known as The Salty Mug, guarding her with your mighty arm and trident and ensuring her of safe and rapid passage throughout her journeys within your realm,” the crowd cheered a bit here. After finishing this speech, he walked to the West side of the wharf and poured the second bottle of champagne into the ocean while walking to the East side of the wharf. The crowd clapped and cheered a little. Then Dave got another bottle of champagne and a glass and called out to the mighty rulers of the winds, Great Boreas, Zephyrus, Eurus, and Notus, flinging a glass of champagne towards the North, West, East, and South respectively. As soon as Dave had finished calling out to Aeolus, guardian of all the winds and all that blows before them, he turned to the crowd and gave a small nod. Everyone clapped rather politely as he started distributing glasses of champagne (from the never ending supply) and the Shifty Sailors (the local Coupeville group of old men who sing sea shanties while wearing striped shirts) began to sing heartily. Suddenly, not three seconds into the Shifty’s song, there was a deep rumbling that came from underneath the wharf. The wooden structure trembled. The crowd made that noise that crowds make when they’re surprised, then quieted as the wind began to blow a bit harder, the rain suddenly large and fast droplets instead of the mist it was before. Dave’s white hair was plastered to the top of his head, his socks were soaked through as sandals quickly filled with water. As the crowd drew closer together, for warmth maybe or security, he turned away with his glass of champagne and looked out into the cove, as if searching for something. The rumbling grew louder. Dave flipped through his photocopies frantically, wondering if he missed something, but they were now streaked with water as the sea began to slosh up against the sides of the wharf.